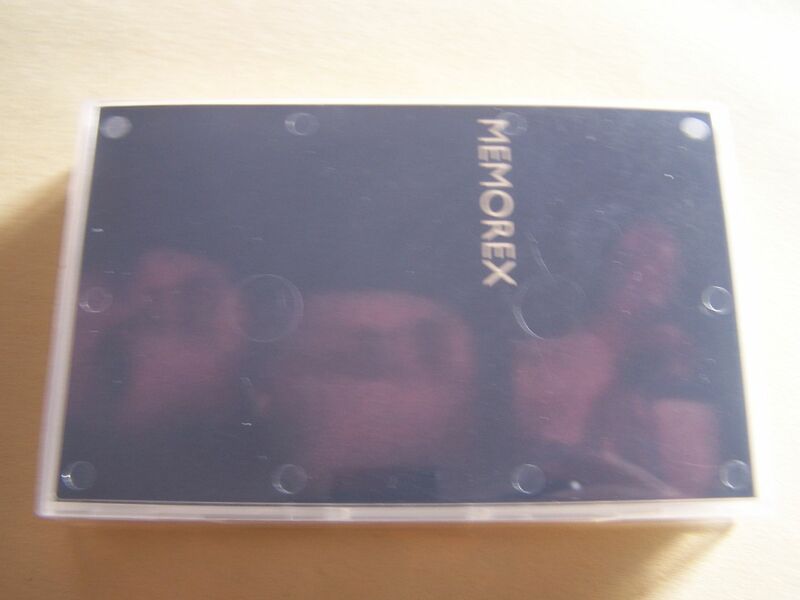 Raised by Gypsies ::: Cassette Review: Memorex "tape one"
Cassette Review: Memorex "tape one"
Whenever I see the word "Memorex" I think of cassettes and as such the classic advertisement with the guy sitting in his chair, stereo going and his hair being blown backwards. You know the one, right? Sure you do. 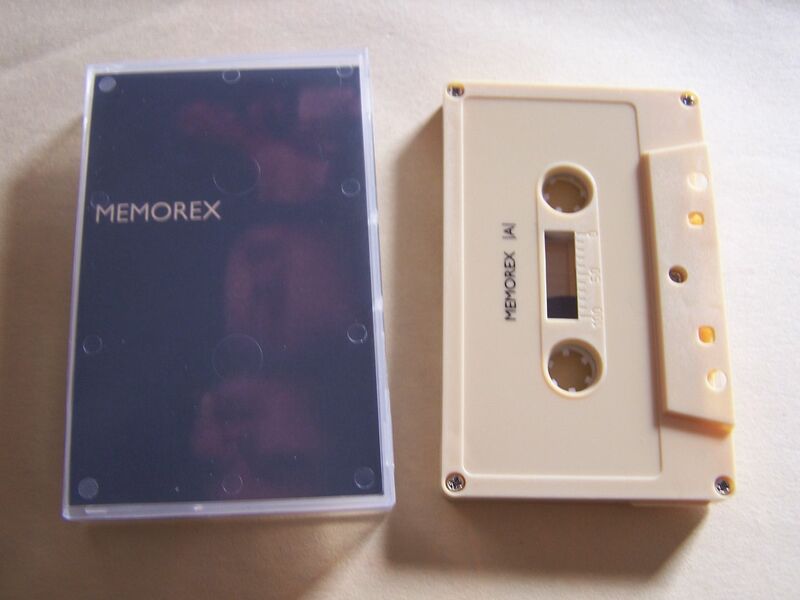 So it seems only fitting that an artist calling themselves Memorex would have a cassette release. What is somehow more fitting is that the music on this cassette also takes me back to a time when cassettes were dominant and really the only source of musical recording and playback. Like some great soundtrack I just can't put my finger on from the 1980's, Memorex has elements of synthwave mixed with pop an lasers. 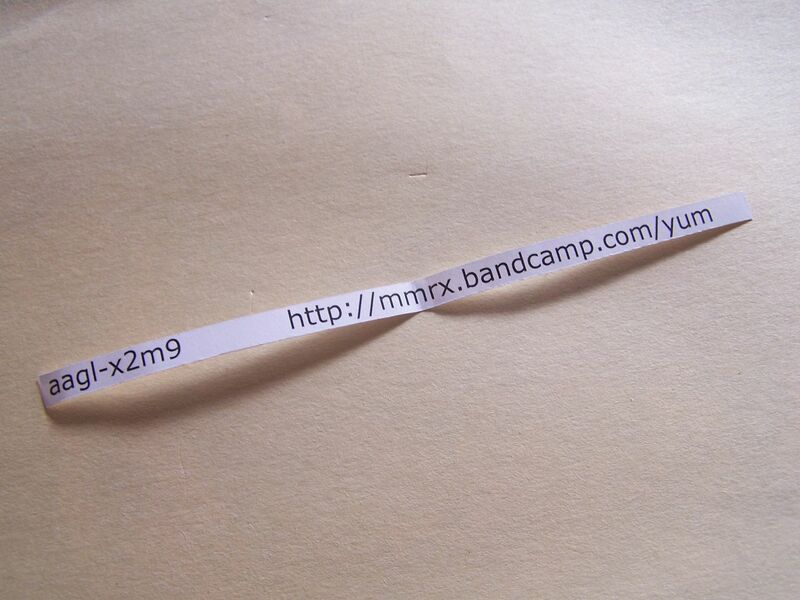 It's this overall feel of something like Tears for Fears but with a modern twist. There are parts where it sounds as if the "Safety Dance" is combining with "Weird Science". As with most good artists of this nature, Memorex throws enough newness into these songs so as you don't feel as if you're listening to something from the 1980's but rather an updated version of it. 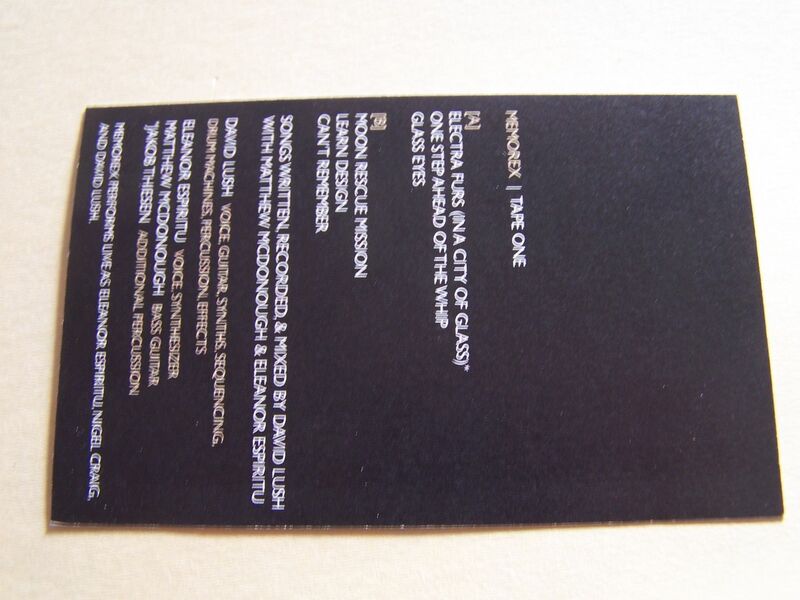 In other ways this cassette reminds me of the Blue October song "X Amount of Words" because when I first heard that I was pretty sure it was a cover song and was surprised when I found out that it was not. 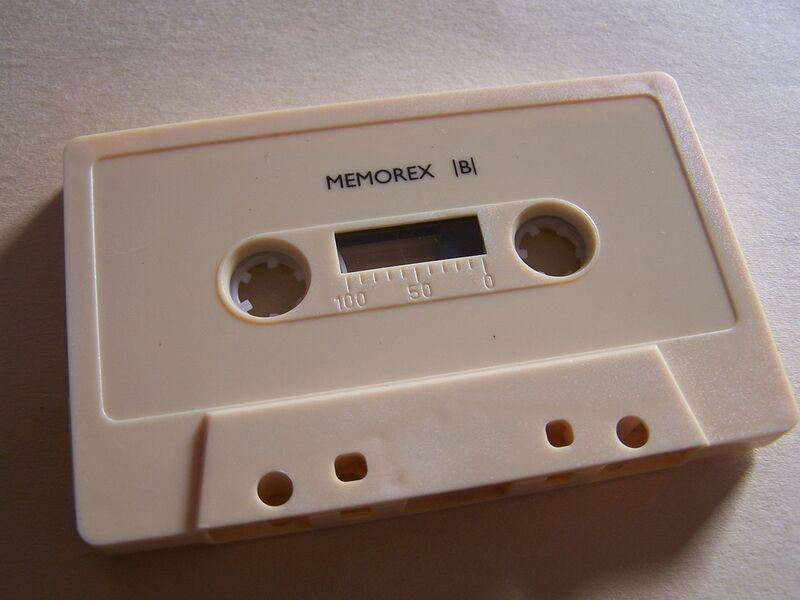 Some of these songs by Memorex- or pieces of them anyway- sound like they could be cover songs, plucked right from my youth, but when you realize they are not it just makes the talent there that much more appreciated. While these songs are all structured with vocals there are still a decent amount of gaps in between the words and in that sense this becomes a musical delight. I do enjoy the parts with singing don't get me wrong, but the times when there isn't any just goes to show you how truly remarkable this is. Oddly enough, this whole six song cassette ends with a song called "Can't Remember" which has a hook line of "I don't remember" sung repeatedly. 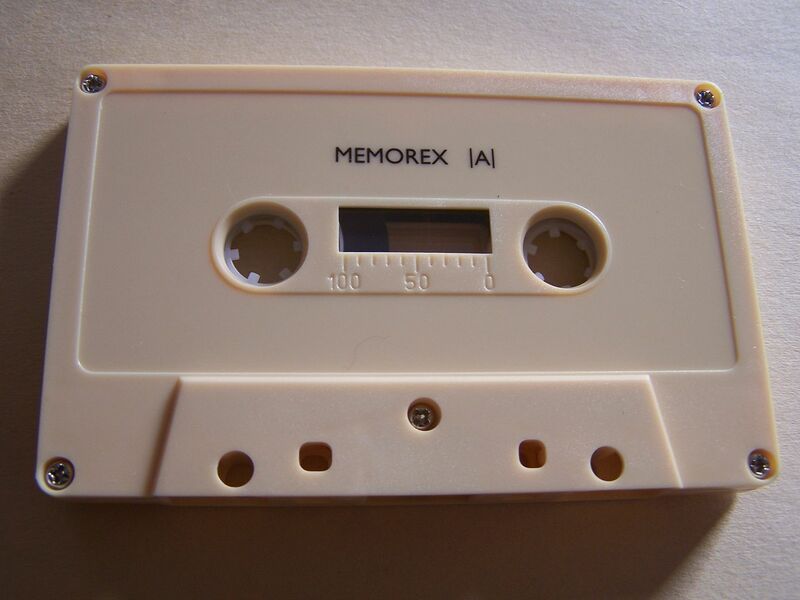 As Memorex is a combination of memory and, um... t-rex I guess... this is quite the placement to go out on and leave the listeners with. After listening to this several times through though you will be singing right along with me and possibly even up and dancing.